Once you have paid you will receive an email with your login details and an email from me telling you what happens next (please check all folders including SPAM). If you also sign up for 'Baby Music Activities on Early Years Music Ideas' you will be able to use the same login details. 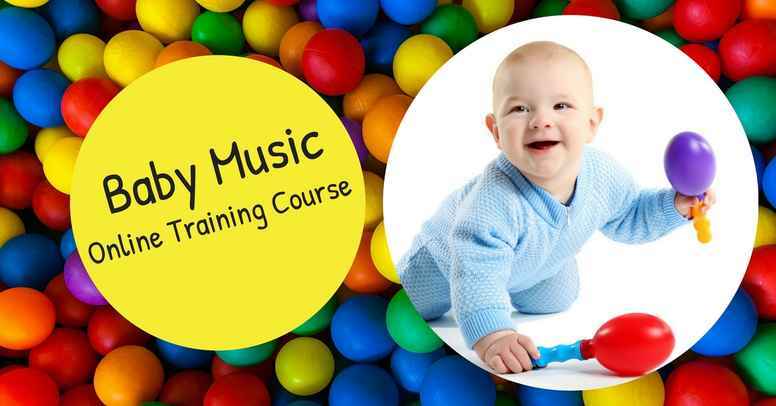 You can also, sign up NOW for your 1 month's FREE access to a selection of Baby Music Activities on Early Years Music Ideas. Just tick the box to add it to your basket. After the first FREE month, the subscription will be at £3.22 a month and then you will have access to all the Baby Activities that are available. Your price will stay at £3.22 throughout the lifetime of your subscription with no monthly commitment; the subscription can be cancelled at any time within your account settings. The no monthly commitment option is ONLY available to those who sign up with this training. Although if you do leave and come back you will re-join at the rate at that time. This is an optional extra that you can choose to sign up for or not, it is up to you! There will also be a limited time option to sign up for your FREE month in your welcome email to the training but the ongoing monthly fee will be slightly higher at £3.50.